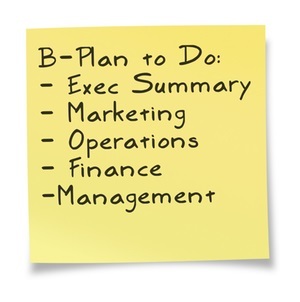 If you are looking to fund your business, a business plan is a must for building credibility with investors and supporters. Your plan is going to be the first step in developing your idea and the last step before you take your business to investors for funding. Not only will it help you make sure you know what to expect but it will help convince others that you know what you’re doing and are ready for the next level. This post is the sixth in our series on small business funding and just one chapter in the book From Zero to Business. Traditional bank lending has never really bounced back after the financial crisis and small business owners need all the help they can get. Want a free copy of the book? Offer to leave a review of the book on Amazon and I'll send you a free copy! If a picture is worth a thousand words, a chart or graphic in your business plan is pure gold. Putting as much of your numbers in graphics will break up the monotony of reading, express your best points and cut down on the bulk of your business plan. Investors will appreciate it and it will help you visualize how your business will grow. 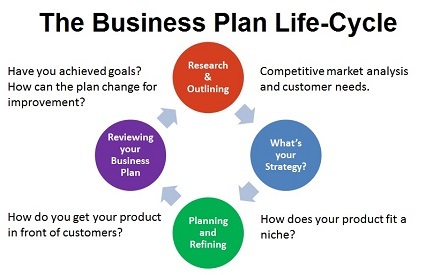 When you’re ready to start your business plan, check out one of the 500+ business plan samples on bplan.com within just about every business category. Partnerships and Limited Liability Corporations (LLC) are like a type of corporation but still retain some benefits of a sole proprietorship. There is no limit on the number of owners and the profits flow directly to your individual tax returns, avoiding corporate taxes. There are also no requirements for annual meetings. These business may not be able to issue stock and may have a more difficult time raising investor capital compared to a corporate structure. This section lays out your actual product or service as well as the supply chain involved. What raw materials or other supplies do you need? How much manufacturing or finishing is involved in production and how does your product get to the final customer? How many distinct products do you sell and how are they related? What patents or trademarks does the company own or will it need? Defining your niche helps to better understand your specific customers and the potential for sales. A new business can’t be all things to all people. In the example above, it would be impossible for a new business owner to address all the needs of the general TV-viewing public. Even the behemoth Disney corporation is segmented into different divisions to operate in different areas of entertainment. Investors will want to see a niche market large enough for strong sales but small enough that you can address specific needs.